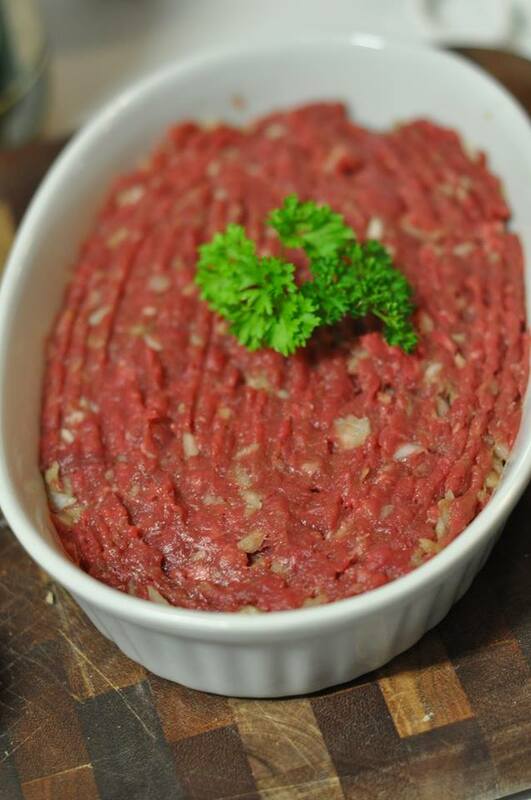 One of my favourite dishes that my dad made for me when I grew up was steak tartare. 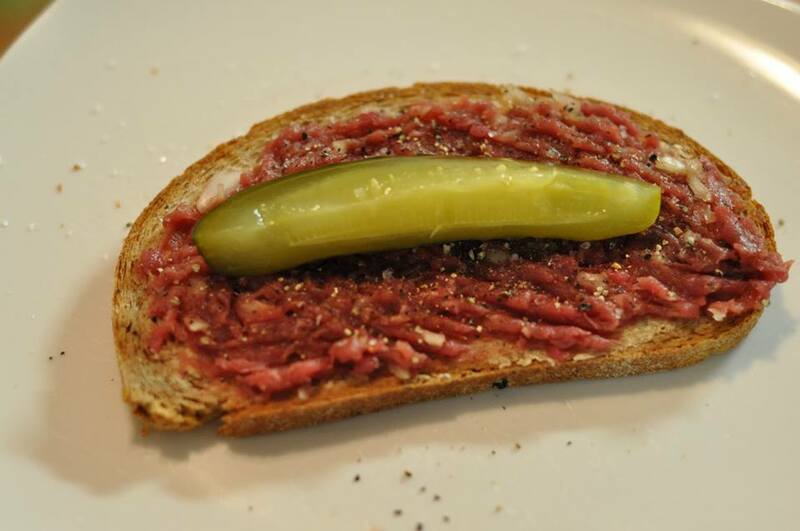 Usually for a weekend lunch, he’d serve it on super fresh rye bread (sometimes with caraway) with sliced pickle (preferably Poski Olgorkie) and I just loved it. I had never tried to make it myself though. Hard to live up to the high bar my dad has set I figured. But I had to try! So I bought everything I needed and one weekend it was time to make my foray into making steak tartare for myself. Trim any fat from the fillet steak and place in a Thermomix or food processor, blitz until minced. Place minced beef in a bowl, along with egg yolks and diced onion and thoroughly combine. It is really as easy as that. Yes I know that raw steak can seem a little confronting at first, but the simple flavours together are some kind of wonderful. Next Good Food & Wine Show and cooking with Barilla! I’m adding garlic salt to this. What are your views? I wanted make a comment about my very first experience of this European Food Item called the Beef Steak Tartare Dish. My very first experience of this European Food Dish of Beef Steak Tartare was away back ever since the (70s) & I have continued eating this European Food Dish of Beef Steak Tartare then into both the (80s) & the (90s) as well too. & even right now today I still eat this European Food Dish of Beef Steak Tartare every now & then time to time & always will be but not every single day of cause. 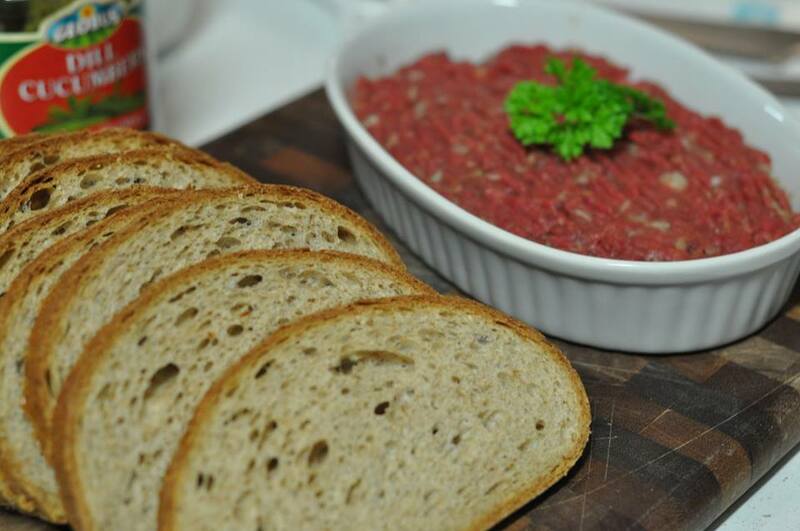 My German father/dad & I use to make this European Food Dish of Beef Steak Tartare ever since the (70s). I have been making this European Dish of Beef Steak Tartare from the (70s). Yes even I can still make this European Dish of Beef Steak Tatare right now today with the exact same ingredients that my father/dad use to have to make his own version of Beef Steak Tartare. But there are number of things regarding this European Food Dish of Beef Steak Tartare is far as concerned are (1) Its something that you don’t & can’t & never ever will to have every day of the week as a meal & I wouldn’t want to eat every day other wise it would be very boring to eat the same thing day in & day out. But its alright to eat Beef Steak Tartare either once a week &/or once or twice a month that won’t do any harm at all. 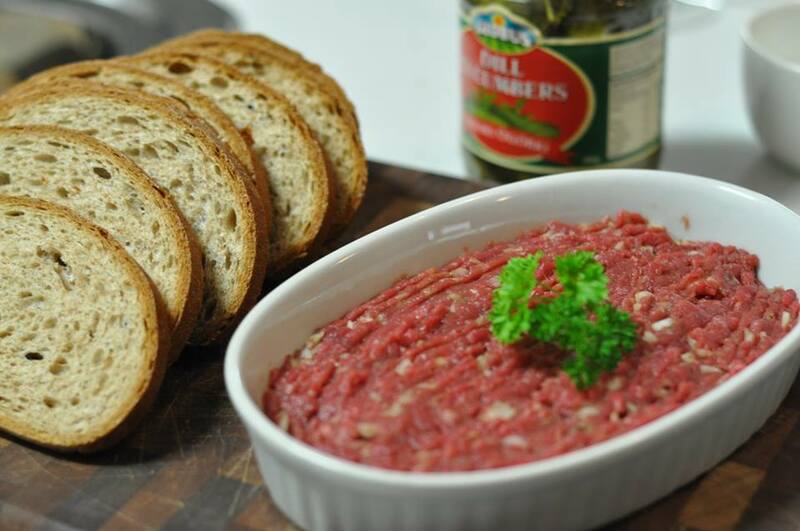 (2) You don’t have to be a Rocket Scientist to prepare & make this European Food Dish of Beef Steak Tartare at all. Its so easy to prepare to make that you don’t need Rocket Science at all to make this European Food Dish of Beef Steak Tartare with all your own ingredients at all & you don’t have to cook it with any heat at all from any stove or even because Beef Steak Tartare is only served very fresh & raw ingredients without cooking it at all. (3) It depends on who makes it & their own ingredients & where its made & also both the flavours/tastes regarding Beef Steak Tartare very indeed so. Beef Steak Tartare Dish can be made both Commercial as in Restaurant Made &/or any other Food & Drink Establishment & also can be Home Made as well too. But I am writing this letter to you because I had seen your photo pictures of the Beef Steak Tartare on your Perthmunchkin .com web site. Can you tell me what is the name of the restaurant establishment in Perth of where these Beef Steak Tartare Dish Photo Pictures do come from (?) I would like to to the restaurant that makes this Beef Steak Tartare Dish. From G.J.Lorenz. Gary John Lorenz. Also, you have a very lovely site! If I am going to to Perth for a visit as a holiday then I would like to know which restaurant that I can have I can get my Steak Tartare from (?) What is the name of the/this restaurant of these photo pictures of the dish of Beef Steak Tartare do come from (?) Yes I have eaten Beef Steak tartare many times ever since the (70s) & the (80s) & the (90s) & even right now today & will be always be. But my very first experience of trying this Beef Steak Tartare for my very first was in the (70s). My German father use to make it every now & then. I can even make that myself ever since from the late (70s) to right now today. 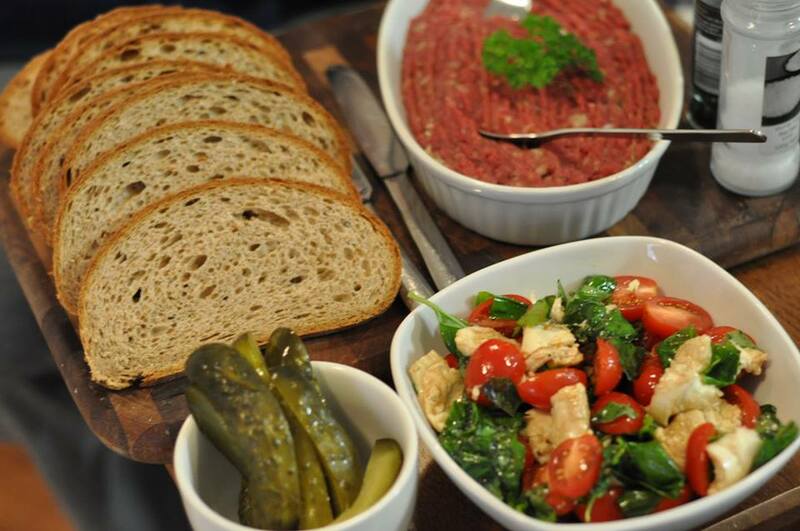 Everybody has their own methods & ingredients for their own Beef Steak Tartare for their own tastes & flavours of this European Dish of Beef Steak Tartare. What it boils down it depends who makes it & where its made at either at home as a Home Made Beef Steak Tartare or Restaurant Made Beef Steak Tartare. 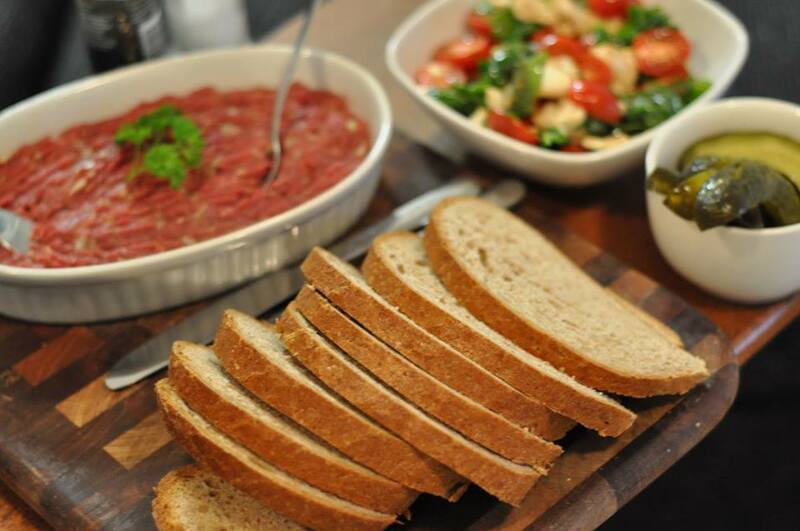 However its NOT Rocket Science at all &/or You don’t have to be a Rocket Scientist to prepare & make Beef Steak Tartare at all because its so easy to do & No cooking is needed/or required at at all on the stove for this make Beef Steak Tartare Dish at all.